WASHINGTON — President-elect Donald Trump pledged to step away from his family-owned international real estate development, property management and licensing business before taking office Jan. 20. With less than two weeks until his inauguration, he hasn’t stepped very far. Trump has canceled a handful of international deals and dissolved a few shell companies created for prospective investments. Still, he continues to own or control some 500 companies that make up the Trump Organization, creating a tangle of potential conflicts of interest without precedent in modern U.S. history. Ethics experts have called for Trump to sell off his assets and place his investments in a blind trust, which means something his family would not control. That’s what previous presidents have done. Trump has given no indication he will go that far. He has said he will not be involved in day-to-day company operations and will leave that duty to his adult sons, Eric and Donald Trump Jr. The president-elect has not addressed the ethical minefield of whether he would retain a financial interest in his Trump Organization. Trump has abandoned planned business ventures in Azerbaijan, Brazil, Georgia, India and Argentina. The Associated Press found he has dissolved shell companies tied to a possible business venture in Saudi Arabia. The Trump Organization still has an expanding reach across the globe: The Trump International Golf Club in Dubai, in the United Arab Emirates, is set to open next month. Trump has said there will be “no new deals” while he’s in office. But Eric Trump, an executive vice president at the Trump Organization, told Argentinian newspapers last week that the company was open to another business venture in the country. The younger Trump did rule out expansion in Russia, at least any time soon. “Is there a possibility sometime in the next 20, 30 years we end up in Russia? Absolutely. Is it right for us right now? Probably not,” Eric Trump said, in a video interview with La Nacion posted on the newspaper’s website. Of Trump’s U.S. portfolio, no venture has become more emblematic of the potential conflicts of interest facing Trump than his hotel at the Old Post Office in the nation’s capital. The federal government, which he soon will oversee, holds the lease on the building he turned into a sparkling luxury hotel that opened shortly before Election Day. Neither GSA nor Trump transition officials responded to inquiries about what steps, if any, Trump has taken with regard to that contract provision. Trump is still listed as a producer for the reality TV show, “Celebrity Apprentice.” He has said he will not spend time working on the show. Financial disclosures he filed during the campaign show his company, Trump Productions, earned about $5.9 million from “The Apprentice” shows in 2015. Trump has a considerable amount of business debt that could put creditors in the position of having leverage over an enterprise with close ties to the U.S. president and his family. Last May, Trump reported on his financial disclosure that he had at least $315 million in debt related to his companies. The disclosed debt, mostly mortgages for his properties, is held by banks, including Deutsche Bank and investors who bought chunks of the debt from the original creditors. Last month, Trump announced that he would shutter his charity, the Donald J. Trump Foundation, to avoid conflicts of interest. 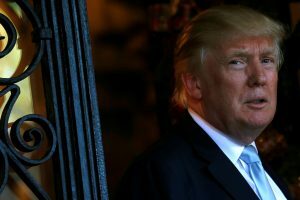 The decision came after the foundation admitted in a tax filing that in 2015 and an unspecified number of previous years it violated IRS prohibitions against self-dealing, broadly defined as using charity money or assets to benefit Trump, his family, his companies or substantial contributors to the foundation. The New York attorney general’s office has said the foundation cannot dissolve until it completes its investigation into whether Trump used the foundation for personal gain. The attorney general’s office has not said whether the investigation will be wrapped up by Trump inauguration. Eric Trump has decided to shut down his charity, which primarily raised money for St. Jude’s children’s hospital, to pre-empt conflicts of interest. That move came after the younger Trump was found to be offering in a charity auction a coffee date with his sister, Ivanka Trump, who is expected to take a position in the White House. Questions remain about how Ivanka Trump and husband Jared Kushner, who is planning to advise the president, will separate from their own businesses. On Saturday, representatives for Kushner told the AP that he has been talking with the Office of Government Ethics and is exploring taking steps to disentangle himself from his business, The Kushner Companies, in preparation for taking a White House role. Under those plans, Kushner representatives say he would resign as CEO of the real-estate development business, which has been involved in some $7 billion in acquisitions in the past 10 years. Kushner would divest “substantial” assets including his stake in a New York City skyscraper that has been the subject of months of negotiations between Kushner and Anbang Insurance Group, a real estate giant with close ties to the Chinese government. Kushner’s negotiations with the company were first reported by The New York Times. Ivanka Trump, in addition to serving as an executive at her father’s company, has developed a lifestyle brand selling shoes, jewelry and other products. She caught heat after her fine jewelry company marketed the $10,800 bracelet she wore during a postelection “60 Minutes” interview with her father. Representatives for Ivanka Trump and her companies did not respond to requests for comment about her business plans. In order to take posts in the administration, both Kushner and Ivanka Trump would need to argue that a federal anti-nepotism law that bar officials from appointing relatives to government positions does not apply to them. Trump also is set to take office while battling a number of lawsuits. The president-elect sat for a videotaped deposition on Thursday involving a dispute with a celebrity chef who pulled out of a deal to open a restaurant at his new hotel in the Old Post Office building. When Jose Andres scuttled his plans for the restaurant citing Trump’s campaign comments about some Mexican immigrants being rapists and criminals, The Trump Organization sued him for breach of contract. Trump also sued another celebrity chef, Geoffrey Zakarian, for similar reasons. Trump did act to close out one of the highest-profile disputes, over his now-defunct Trump University real estate school. After his election in November, he agreed to pay $25 million to settle two class-action suits and one by New York Attorney General Eric Schneiderman that alleged the school misled and defrauded students. Trump admitted no wrongdoing and has yet to pay the fine, according to court records. AP Business Writer Bernard Condon and Associated Press writer Jonathan Lemire in New York, and AP White House Correspondent Julie Pace contributed to this report.